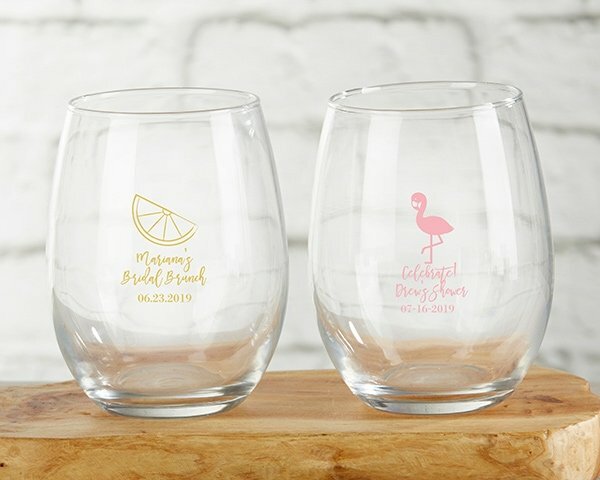 A glass of wine or signature drink is the perfect complement to any Cheery and Chic bridal shower, birthday party or baby shower, and Kate Aspen's 9 oz stemless wine glasses are the perfect drinkware choice. 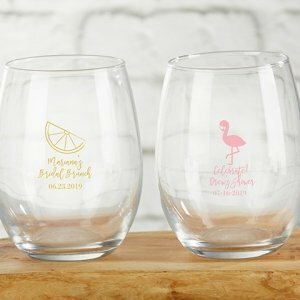 Adorned with a bright citrus slice or fun flamingo, these wine glasses can be customized with up to three lines of text and printed in a variety of colors--including light blue, pink, silver and gold--to fit any party color palette. 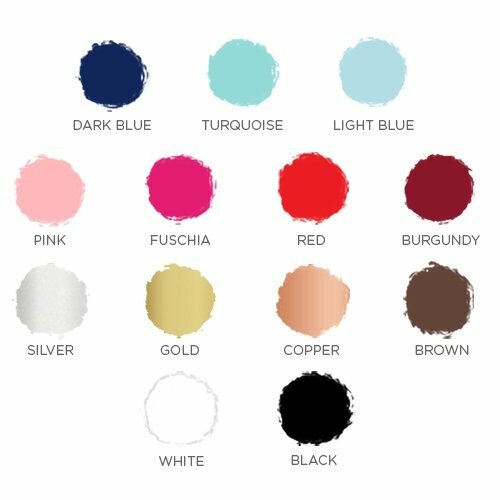 For sample orders, you will not be able to specify personalization. Your item will consist of a random representative sample. Are these real or plastic? The Cheery and Chic Personalized 9 oz Stemless Wine Glass is a real glass. How do I make my own personalized glasses? 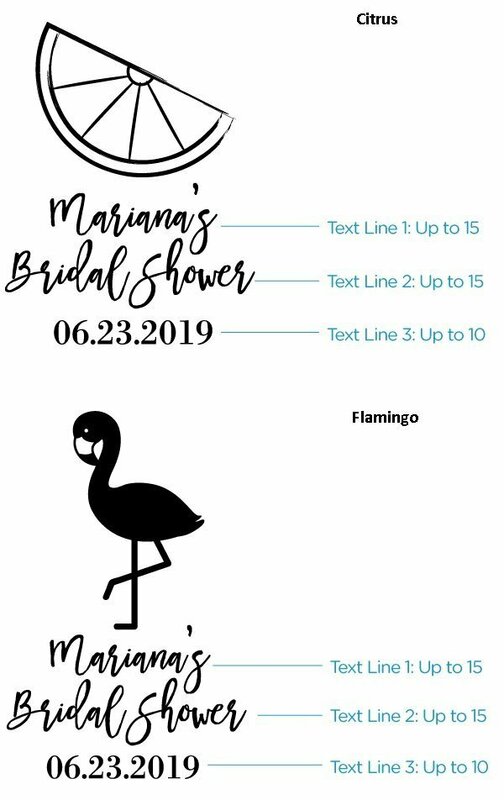 I'm sorry, only the designs listed in our product page are available. You need to add the item first in your shopping cart to personalize it.